Christen Press scored a hat trick in Utah Royals FC's win on March 23rd. Lots of preseason scrimmages and a few injuries highlight the last week. Most of the international players will be away from this point until opening weekend. The fourth week of the NWSL preseason is in the books. Every team in the league had some major news, and now most of the international players will be away from their countries over the next two weeks. The biggest news of the week came from Sky Blue FC where midfielder Madison Tiernan tore her ACL and will be out indefinitely. She will certainly miss the 2019 season. This comes on the heels of news that defender Mandy Freeman tore her Achilles tendon and would also miss the season. Both players figured to be big parts of a limited SBFC roster. Sky Blue also canceled a preseason match against UNC early in the week and then beat Rutgers University 2-0 on Friday. The two goals were scored by Jen Hoy and Paige Monaghan. The next match for SBFC will be on April 13th on the road against the Washington Spirit. The Chicago Red Stars had a frustrating week at the Thorns Invitational preseason tournament. They lost all three matches with 2-1 scorelines. In the first match of the tournament against Portland Thorns FC, the Red Stars went down early before rookie defender Kayla Sharples headed a cross on net in the 54th minute. The draw was short lived, though, and Chicago would lose the game after giving up a goal in the 76th minute. The second match of the tournament was against Reign FC. Chicago forward Katie Johnson scored the opening goal in the 6th minute, but RFC would go on to score two goals later in the match. The Red Stars then lost their final match against the USWNT-U23s. Once again, Chicago opened the scoring. Australian superstar Sam Kerr scored in the 14th minute when she blew past the USA defense and beat the goalkeeper in a one-vs-one situation. Unfortunately for the Red Stars, the United States would go on to score an equalizer in the 29th minute and then the go-ahead goal in the 91st minute. The Red Stars will take on the North Carolina Courage in Cary, NC on April 13th. The Houston Dash played their final two preseason matches on March 23rd and March 30th. In the first match, Houston beat Texas A&M 3-0. The Dash goals were scored by forward Veronica Latsko, Kealia Ohai, and Rachel Daly. On the 30th, Houston downed Texas Tech 5-0 in their final preseason match. Ohai, midfielder Sophie Schmidt, and forward CeCe Kizer each scored once in the win, and forward Jamia Fields scored twice. Houston opens the 2019 season on Sunday, April 14th at home against Reign FC. The North Carolina Courage also played two matches on March 23rd and March 30th. The first match was North Carolina's only preseason game against a fellow NWSL team. They hosted the Orlando Pride on March 23rd and came away with a resounding 4-0 win. Defender Meredith Speck scored the opening goal of the match in the 35th minute, but the first half was relatively equal between the two teams. The Courage exploded for three goals in the second half. Forwards Jess McDonald, Lynn Williams and Julia Spetsmark all scored in the second 45 minutes of the game. The Courage then topped South Carolina University 2-0 in their penultimate preseason scrimmage. Speck and Williams each scored once in the victory. North Carolina has one more preseason match against the University of Virginia on March 6th before they open the preseason at home against the Red Stars on April 13th. After the Orlando Pride lost to the Courage on March 23rd, the Pride announced two new preseason matches. The first game took place on March 30th against the University of Central Florida. The Pride won that game 6-0 with goals scored by forward Chioma Ubogagu, forward Rachel Hill, and Marta. Hill scored a hat trick with goals in the 46th, 49th, and 52nd minute. The Pride will play their final preseason match on April 7th against Puerto Rico Sol FC. Orlando will host their home opener on April 14th against Portland. Portland Thorns FC once again hosted the Thorns Spring Invitational this preseason. The mini-tournament included matches against the Red Stars, the USWNT U-23s, and Reign FC. The Thorns won their opening match against Chicago 2-1 on March 24th. Tyler Lussi scored the opening match of the game, and then Mallory Weber scored the game winning goal in the 76th minute. The Thorns lost their second match of the tournament against the US U-23s. The lone goal of the game came in the 6th minute when Catarina Macario scored a penalty for the U-23s. The Thorns played their final match of the tournament on March 30th, but the game ended in a 0-0 draw against Reign FC. Goalkeeper Britt Eckerstrom played well for Portland in keeping the clean sheet, but any game that ends with no goals on the board is going to feel a bit lacking. The Thorns play their next match against Orlando on opening weekend. Reign FC was the final NWSL team participating in the Thorns Spring Invitational. The Reign opened the tournament with a 2-1 win over the USWNT U-23s. The first goal of the match was scored by forward Darian Jenkins in the 49th minute. It took just five minutes for the U-23s to equalize, but midfielder Allie Long headed the game winning goal past the U-23 goalkeeper in the 70th minute. The game was a dominant performance for the Reign, who outshot their opponents 17-3. RFC then notched a second 2-1 win over the Red Stars on March 27th. After going down early, the Reign stormed back with goals by Morgan Andrews in the 38th minute and Theresa Nielsen in the 65th minute. As was mentioned above, the Red Stars played to a scoreless draw in the final match of the tournament. They won the tournament with seven points. The Reign have one more preseason match on April 5th against the University of Washington before opening the regular season on the road in Houston. 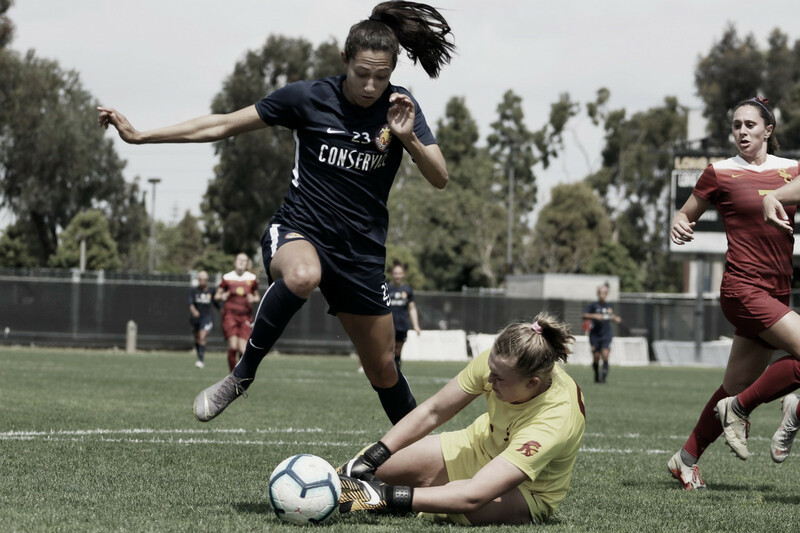 Utah Royals FC played a preseason match on March 24th against the University of Southern California. URFC scored 10 goals, including a hat trick from Christen Press, against the collegiate team. The Royals are also hoping that defender Kelley O'Hara is able to come back from an injury that has been bugging her of late. O'Hara was left off the USWNT roster because of this injury, and she has had difficulty staying healthy for over a year now. The Washington Spirit played two preseason matches last week. They faced off against French squad Girondins de Bordeux on March 23rd and then played UNC on March 30th. In the first match the Spirit were beaten 3-1. Washington took the lead in the first half off of a Mallory Pugh forced own goal, but the visiting team scored thrice in the second half to win the game. The Spirit then hosted UNC and played to a scoreless draw. With the USWNT players missing, new head coach Richie Burke had an opportunity to see his reserve players in starting roles, but they were unable to find the back of the net. Washington will play another preseason game on April 6th against Virginia Tech before opening the preseason at home against Sky Blue FC.